Fig 1,2 (above) Oscar Sabini Red Riding Hood. Oscar Sabini is an Italian illustrator based in Venice. 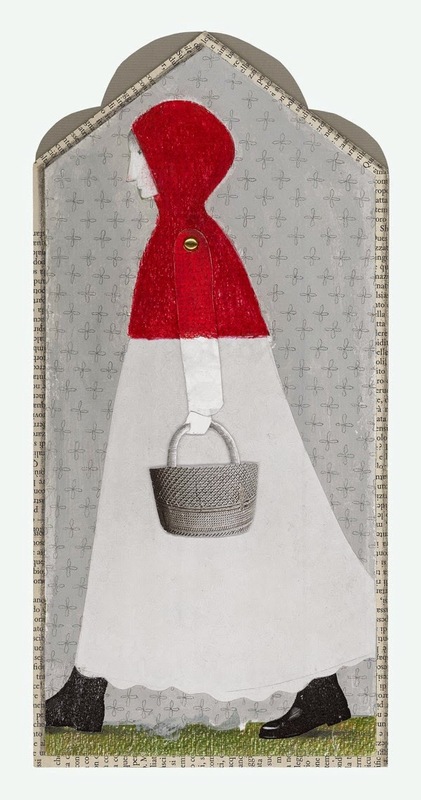 In his Red Riding Hood illustrations he has used collaged newspaper, magazines, letters and oil pastel and pencil. The Red Riding Hood is able to swing her arm as attached with a paper fastener. 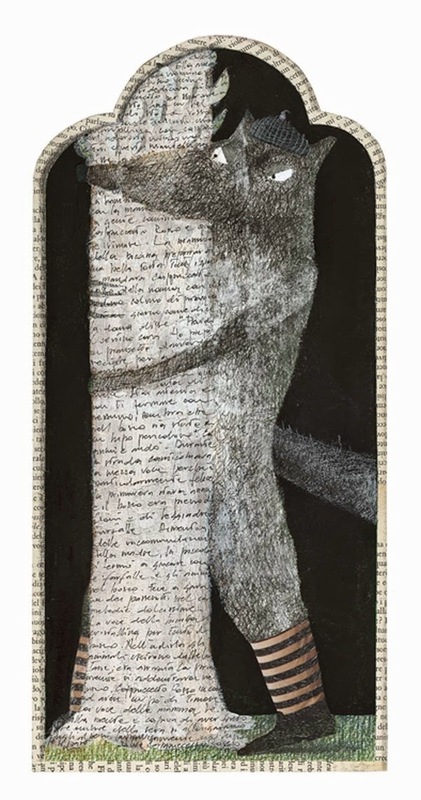 These illustrations were created for Figure Future of the Salon du Livre Jeunesse, Montreuil, Paris in 2004. Follow Hazel's board Little Red Riding Hood (and other wolfish things) on Pinterest. "Consolatory fantasies or wise counsel? Materialist lies or emancipatory dreams? Popular trash or the fundamental structure of imaginative literature? Fairytales still provoke vigorous argument." “In a utilitarian age, of all other times, it is a matter of grave importance that fairy tales should be respected."